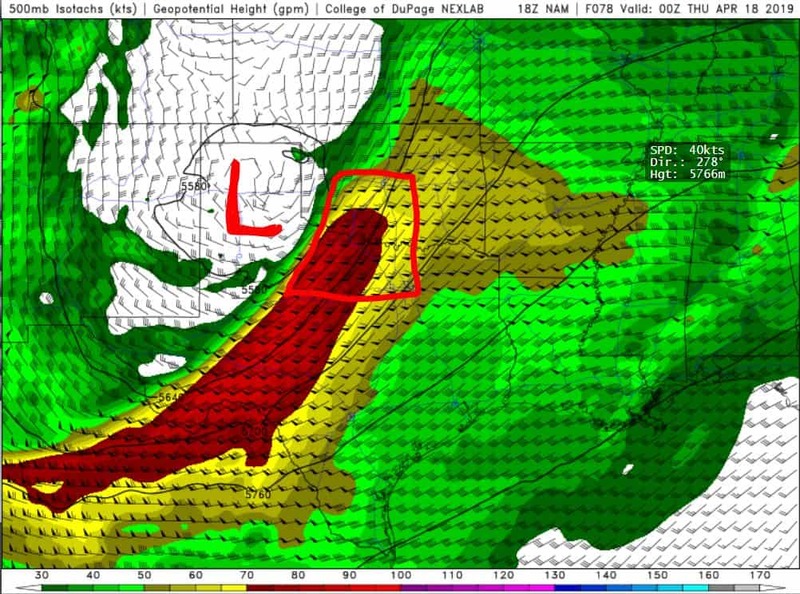 In this forecast blog I’m just going to focus on the severe weather aspect for Wednesday by showing you basic meteorological parameters. 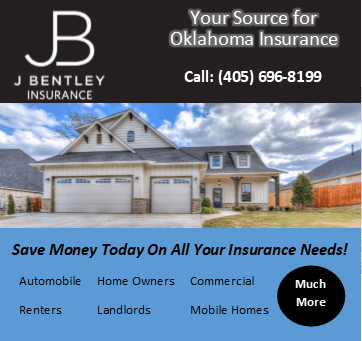 There are others not listed, but these are the basics, and products that a weather enthusiast can use themselves to identify severe weather potential. So what do I think will happen Wednesday? 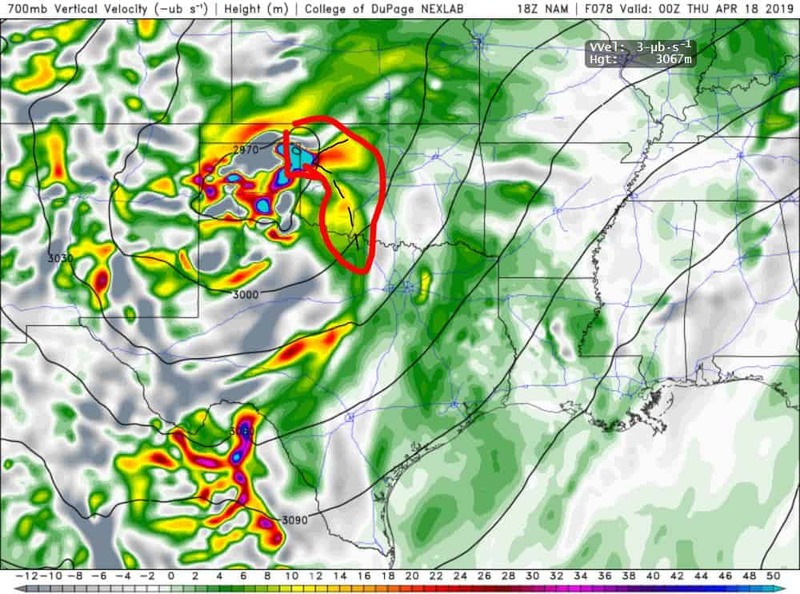 Well a strong upper level storm system will approach from the west and generate an area of low pressure at the surface in NW OK. A dry line will trail from that low down through WC OK. That will be the focus for severe storm development. 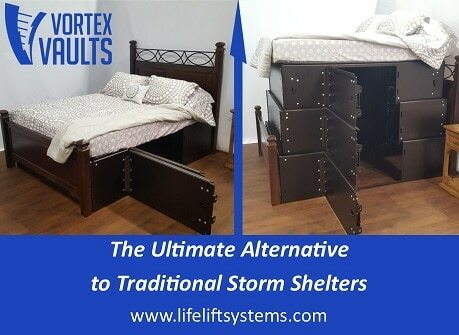 These would be supercells, the storms that rotate and produce large hail, damaging winds and yes sometimes tornadoes. The threat area is along the I-35 corridor and points west between the hours of 4pm and 7pm as it looks today. We’re going to look from top down in the atmosphere, starting with the jet stream. Our first image shows that C OK is in the favorable position of the left exit region of the jet. This is an area of outflow for storms to develop. 250mb Jet. Left exit region. Next we have the storm system itself, with vorticity rotating around the lower heights in the mid levels of the atmosphere. The colors represent lift to help break the CAP (inversion layer) and generate storms. Also referred to as the upper level disturbance. Brighter the colors, the better the lift. 500mb vorticity in the mid levels. At the same level we have a wind maximum rushing in. This extra speed of wind also helps to generate lift for storm development and creates turning. Farther down we have the 700mb layer where we can notate strong vertical velocities over our surface features. 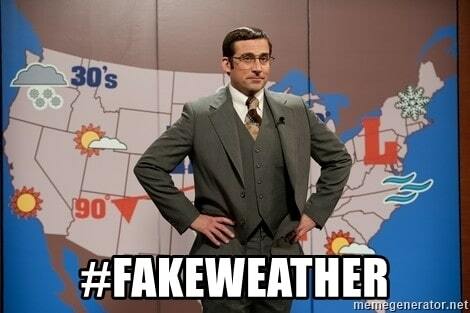 In this case, the dryline. 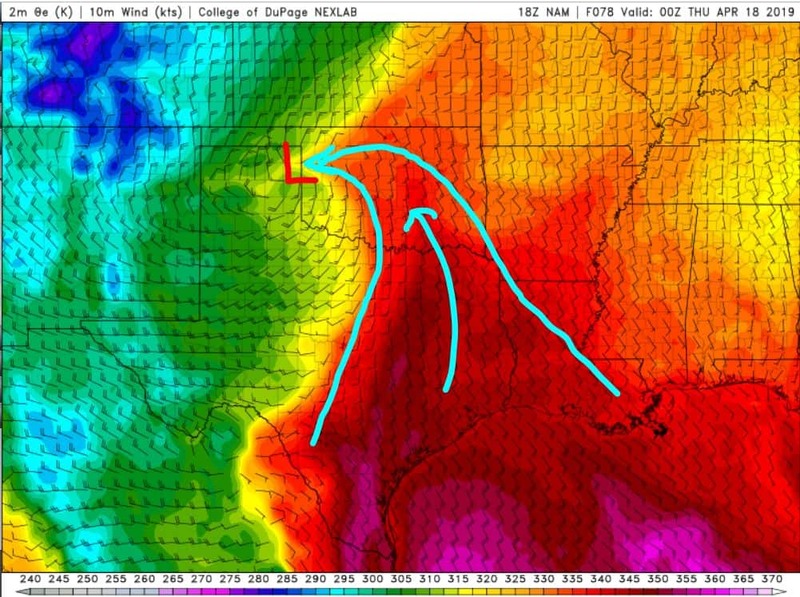 The stronger the vertical motion (brighter colors), the better the ability to break the CAP along the dryline and generate storms. At the surface we have a rich axis of warm moist air feeding in. This is called the theta-e axis. And although it’s invisible to the naked eye, it’s somewhat of a boundary that storms can form on, if there is no inversion present. At other times, it fuels existing storms moving into that area. 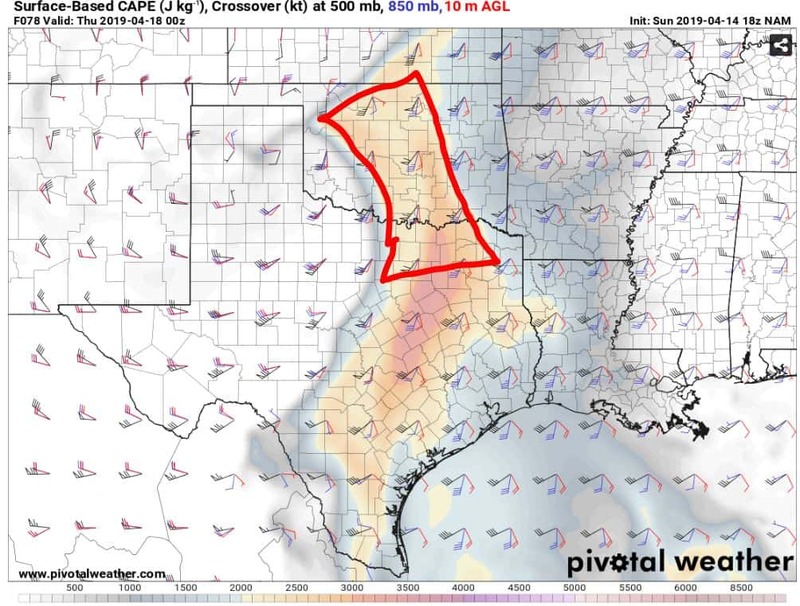 Finally for this illustration, we look at the CAPE and shear across C OK. Both are adequate for rotating intense thunderstorms. 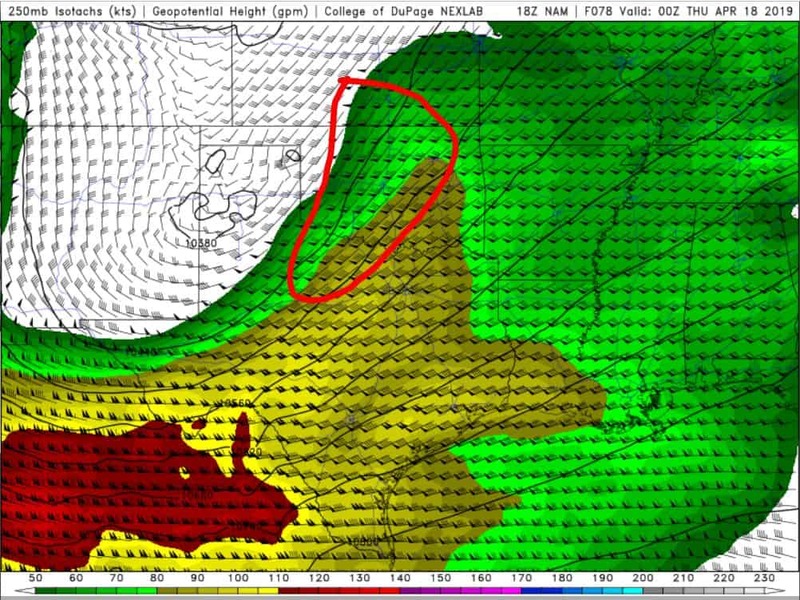 The higher the CAPE, the greater the instability to work with. 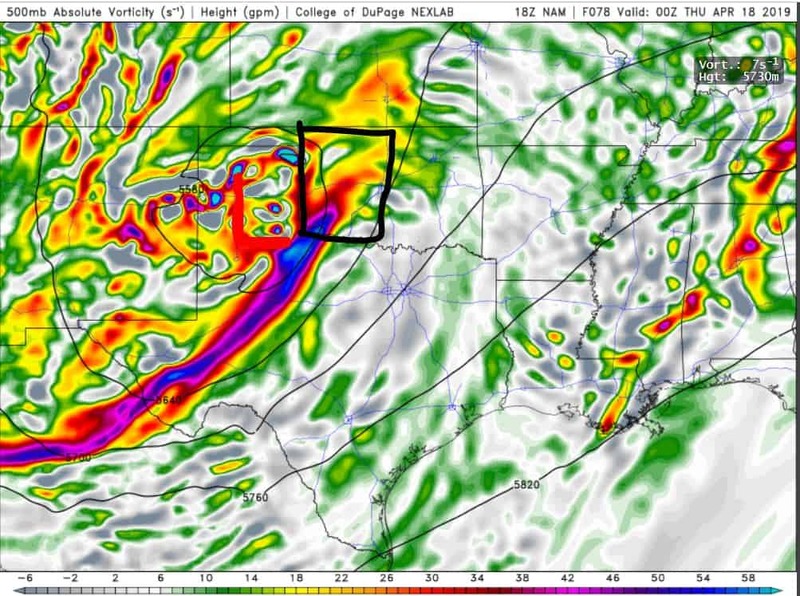 The more turning of shear >45 degrees from surface to 700mb, the better the chance of producing supercells which can be capable of generating tornadoes. 90 degrees or higher of turning is optimal for what none of us want. So now you know why severe storms are in the forecast midweek. 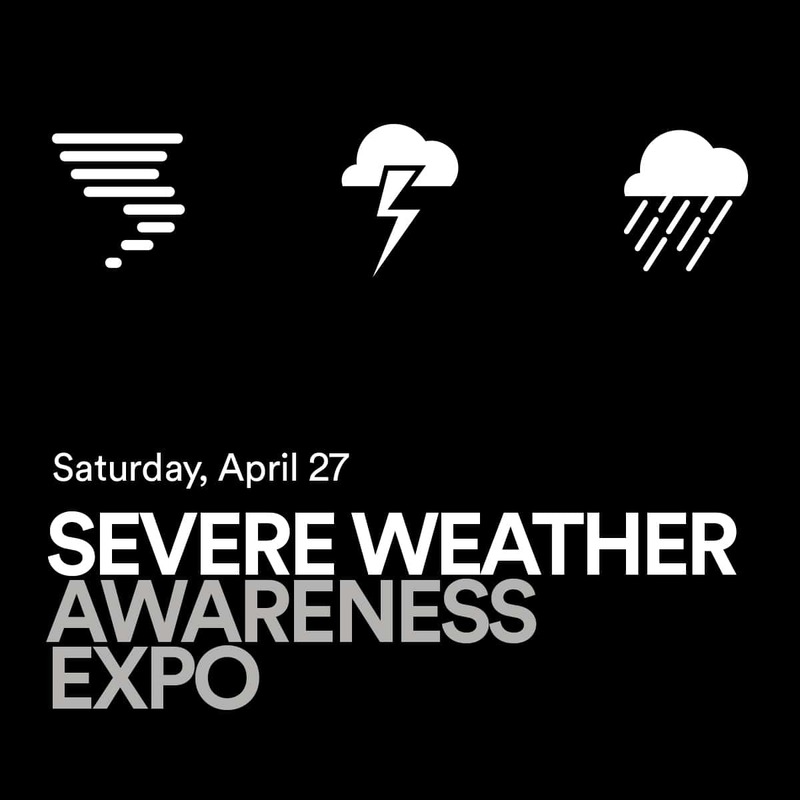 It’s too early to talk about tornadoes. There’s a 48 hour rule you need to hold others accountable for. Any talk beyond that is fear-mongering because too many things change. 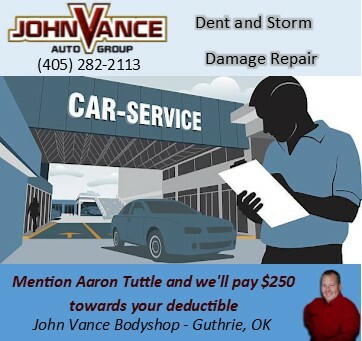 It takes specific ingredients to produce tornadoes that are often not present the day of these events. Models cannot see them this far out. So any talk is wish-casting at best, ignorance at worst. In my upcoming Facebook Lives, I’ll discuss that potential as we get closer to the event and outline the most favored areas should they become an issue to deal with. ATsWeatherToGo predicting a tornado 21 minutes before the official warning.